Click on the “Recording” links below to listen to the audio recording. Each recording is presented in a separate tab on your browser. Click on the “Play” arrow to start the recording. You may find that you need to turn up the volume on your device to 100% as the recordings are a bit faint. The main practice at the beginning is maintaining ethical conduct or avoiding negative actions of the body, speech and mind based on understanding karma – the law of cause and effect. The mental and emotional afflictions that lie at the root of our suffering are the main factors that need to be overcome in the second scope. Are you having problems listening to a recording? We store our audio files on Google. Google applies a limit to the number of times a file can be downloaded during a period of time. When that limit is exceeded (i.e. when a lot of people are simultaneously listening to the same recording), Google sees this as an attack (for example, by bad bots) and stops serving that file. When that happens, you will encounter problems listening to the recording. We apologize for the inconvenience. Google will eventually unlock the file but it can take from 1 to 24 hours. The length of time is not in our control but if you let us know this is happening, we can manually intervene to get that file back online. Send us an email to webmaster@hayagriva.org.au and advise the name of the recording you are having problems with. We’ll try our best to solve the problem for you as fast as we can. 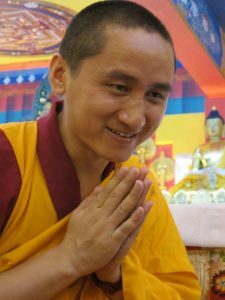 The third scope changes the focus from self to others through the six paramitas – generosity, morality, patience, enthusiastic perseverance, concentration and wisdom. painful, all phenomena are empty, and that nirvana is beyond extremes.